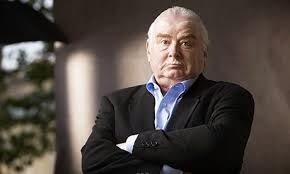 Peter Ackroyd has written a long list of books that take place in and around London. London: A Biography, London Under: The Secret History Beneath the Streets, Shakespeare: The Biography, and now Three Brothers: A Novel. 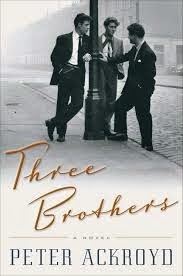 I wanted to read Three Brothers because I've always been fascinated with the London of the late Sixties. Austin Powers. Rolling Stones. The Beatles. The swinging times of the sixties. However, this novel delivers a little bit more of the Charles Dickens/Geoffrey Chaucer side of the city. Harry, Daniel, and Sam are three brothers who grow up in Camden Town and drift apart as one goes into big business, one becomes a newspaper executive, and one doesn't really do much at all. They're each linked together through different characters that make London seem like a small village. Their mom disappears and their father dies. Um, nothing much actually happens, but it still is a compelling read even if it wasn't exactly what I thought I was getting myself into.